Your safety and satisfaction is our highest priority. 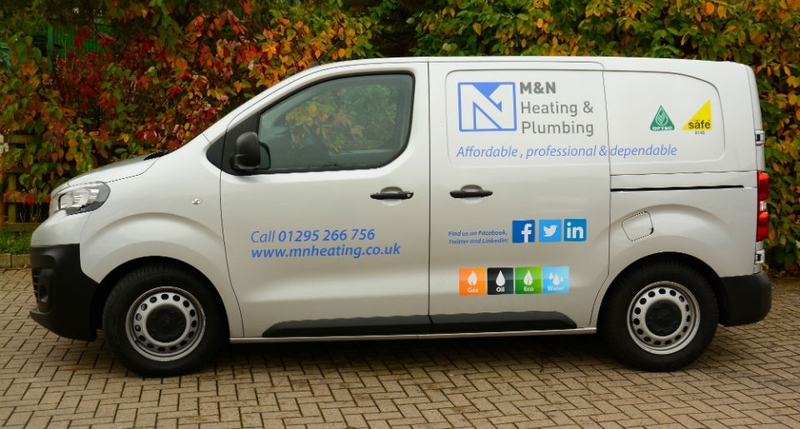 You can rest assured that we'll do our best to ensure your experience with M&N Heating & Plumbing is as positive as possible. That's why we've compiled the following top questions to ask a plumber or heating engineer, showing our desire and commitment to providing the best customer service in Oxfordshire. Looking for part two? Find more top questions to ask a plumber here. The first question you should ask a plumber or heating engineer is whether they are qualified to conduct the job. By law, all gas engineers must be on the Gas Safe Register - in order to become Gas Safe Registered, engineers must provide evidence of their competence and experience. We believe it is essential to showcase our qualifications, and you can rest assured that our staff are fully qualified and accredited by industry-specific governing bodies in the heating and plumbing sectors. And don't worry, our staff will only ever arrive at your property in a branded M&N Heating & Plumbing vehicle and uniform. More information on our qualifications can be found on Our Accreditations page. In addition to the necessary qualifications, plumbers and heating engineers should carry adequate liability insurance to cover any damage during that may occur the job. This will protect you from any future disputes if anything goes wrong, and prevent you from being financially responsible. M&N Heating & Plumbing carries full public liability insurance, up the value of £2 million. So, you're in safe hands, especially with our 12 month no quibble guarantee, which covers both parts and labour supplied and fitted by us. Do You Offer No Obligation Quotes? Whilst the majority of heating and plumbing companies will conduct a no obligation quote, it is important to confirm this so you don't get stuck with any hidden costs. We offer no obligation quotes on boiler installations. A member of our friendly team will visit your home and conduct a comprehensive survey to establish your individual requirements. Understanding how the price is calculated will enable you to easily compare quotes from different heating and plumbing companies. The price is important, yet it shouldn't be the deciding factor as the cheapest estimate may not always be the best workmanship. When it comes to quotes, it's reassuring to know that we only provide fixed quotes, no 'guestimates'. So whatever we quote upfront, that's what you'll pay - even if we find there's extra work to do. You should always ask when payment is expected and, if a deposit is required, how much of the total is required upfront. Each heating and plumbing company will have a different payment policy, so it is important to know where you stand and what is expected of you. Whilst we provide quotes upfront, we won't take any money from you until the job is completed. This way, we can guarantee your satisfaction and peace of mind before any payment is due. Check out part two today!